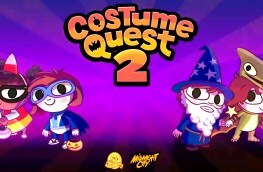 I was browsing through the Halloween sale yesterday when I came across Costume Quest 2 from Double Fine Games. I’ve seen it on the Steam store a few times over the past few weeks, but I was never quite intrigued enough to pull the trigger on buying it. 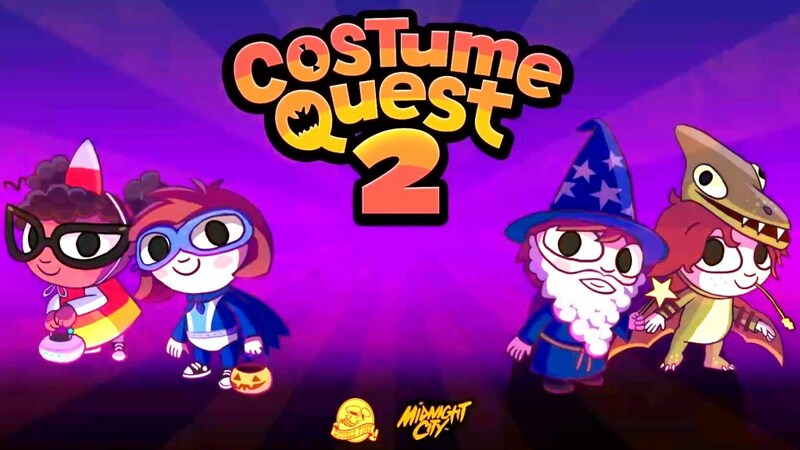 But since it was on sale and I could get the first Costume Quest at the same time, I figured I’d go for it. I am glad that I did so far. 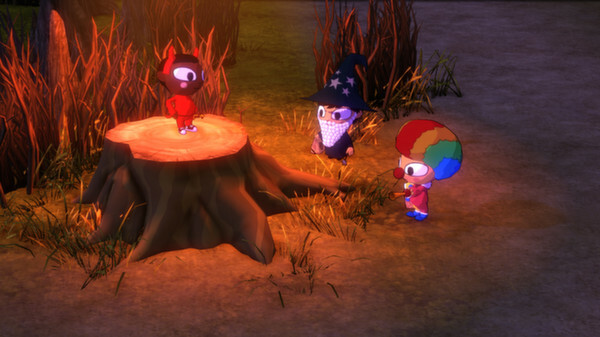 It has very clever writing, a fun turn-based combat system, fun puzzles and an interesting costume-switching mechanic that all really come together to make a fun game. 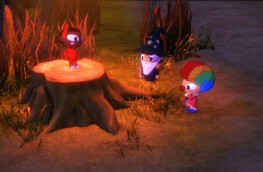 The combat is reminiscent of Super Mario RPG or the Paper Mario series with its timed attacks, blocks and combos. 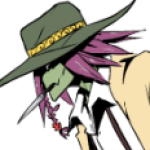 It also brings its own mechanics with each costume having passive buffs and its own strengths and weaknesses against certain monsters. 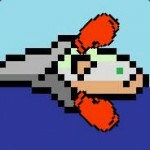 The pterodactyl costume destroys monster enemies, while the superhero costume is more effective against magic enemies. The candy corn costume doesn’t actually attack enemies, but has a very high defense, and hilarious one-line text descriptions of its inaction. The puzzles are all fun, but not particularly hard. Some of them I completed on accident without even knowing that I needed to (like playing my clown horn in a jazz band for fifty bucks). Some of them are a little tedious (find x amount of objects within this area), but not unenjoyable. 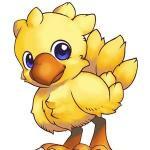 My worst experience so far has only been having to backtrack a bit in order to find an objective that I skipped over. 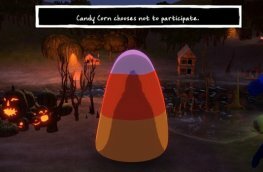 The writing is funny and enjoyable, with the candy corn being the most obvious example. But then there are people like the boat mechanic, who charges you that $50 that you made to fix your boat, and then gives you a $20 oar, saying “I fixed your boat,” and claiming that the extra $30 is for labor charges and that he doesn’t have time to explain the intricacies of his business to you. I haven’t played quite far enough into the game to know exactly what direction the story is moving yet, but I like it so far. It’s a small RPG that most people will be able to enjoy, and although I have not tried the first one, I hear that it’s even better, so go in for the combo pack. 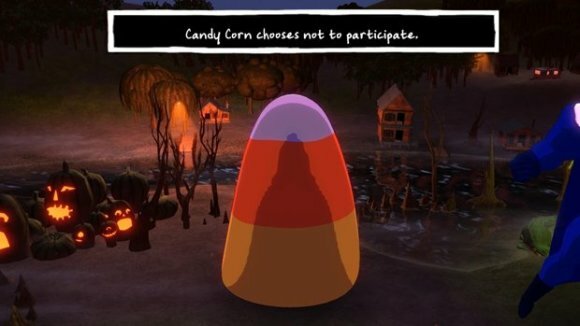 That Candy Corn made me crack up. You are really pumping the content out Skip! It is hilarious! It’s definitely one of my favorite parts of the game. I think I remember seeing this game’s first version last year, or was it the year before? I wasn’t quite interested enough to buy it then. Not sure if I am now with this. I’m not really a big fan of games that use cutsy big headed characters, I guess?